Mayo Creek Gardens is a three-season garden and Nursery The unique five- acre garden features a harmony of Cowichan Valley plants, gardening techniques and design compatible with nature and wildlife. to return for your anniversaries. For wedding photographs only, there is a fee of $200.00 for up to 25 persons, including the wedding party, for 2 hours in the garden. A non-refundable deposit of half the total cost is required for the date to be secured. The balance is to be paid up to one month before the date of the wedding. 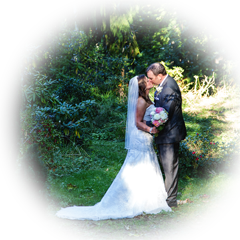 For more information about booking wedding ceremonies, wedding photographs in the garden, or visiting the garden, use the “Contact Us” menu item to send an email to Ingeborg.